”Wajang Woman” was recorded in 1976 at K.H. studios in Port of Spain/Trinidad by Richard ’Nappy’ Mayer’s band Embryo, originally released on Kalaloo records. It’s currently one of the most sought-after island funk tracks from Trinidad. 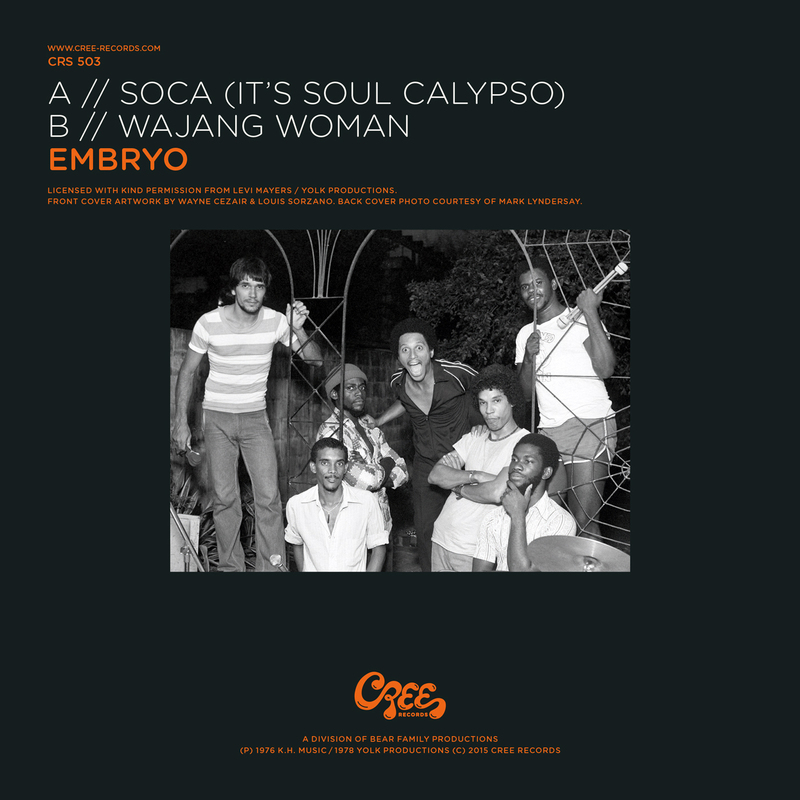 The flip side is the cosmic disco track „Soca (It’s Soul Calypso)“ taken from Embryo’s super rare debut album recorded in 1978. It is based on a Latin bass line and disco influences and is yet another great example of Embryo’s ‘blend’ while simultaneously depicting Nappy‘s vision of a futuristic direction of soca. Now available on 7" single on Cree Records (CRS 503) – limited to 500 copies. Picture sleeve. Founded in summer 1969 by drummer and singer Christian Burchard (born 17. 5. 1946 in Hof), the Munich jazz rock group Trat recorded their first LP "Opal" in 1970. Since the group constantly fluctuated between subculture and consumption, the members often changed - more than with any other German group. The only constant member was Christian Burchard. Due to the change of members, the style of the group changed all the time, sometimes it was free jazz, sometimes rockier, sometimes socially committed lyrics were also offered. Through cooperation with Munich writers, author readings with music from the concerts, a multi-media show with music, slides and own films were created and appearances in kindergartens were nothing special. 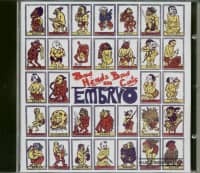 In October and November 1975 Embryo also performed with the Symphony Orchestra of the city of Bielefeld. 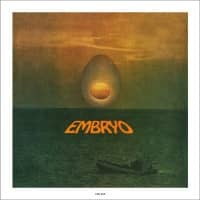 Embryo has received the most attention - also in England and America - so far with their latest LP "Surfin'. Customer evaluation for "Soca (It's Soul Calypso) - Wajang Woman (7inch, 45rpm, Picture Sleeve, Limited Edition)"